It happens more than you know… the relaxing summer months blaze by us, and we are stressed and exhausted from all the fun we’ve been having. 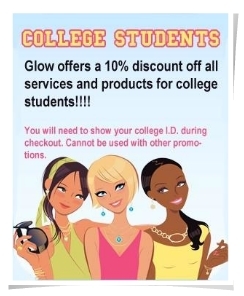 Glow’s amazing Massage Team is here for YOU! For the month of August, our team is featuring a delightful new massage. Read more below and come see us — between the price and the take home… not to mention the stress relief, you’ll be glad you did! 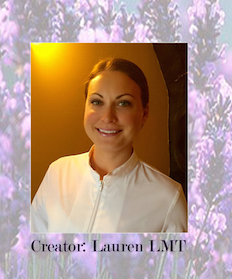 Lauren, a graduate of the Cayce Reilly School of Massotherapy, has always been interested in all types of holistic medicine, and found that she was a natural at massage as well as had a passion for helping people. Lauren decided to combine the two by integrating her holistic approach to healing with the power of touch and created this massage especially for Glow’s clients to experience just that!